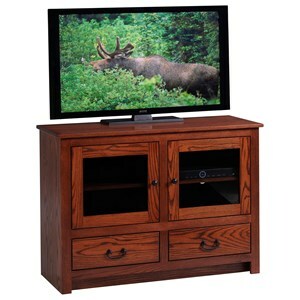 Offer your living space a transitional look with this TV stand. 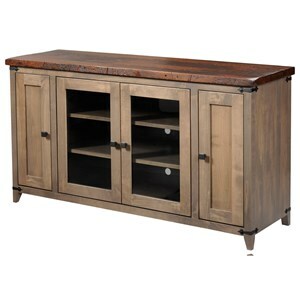 Two panel doors conceal storage and two open shelves with wire management are perfect for your media devices. 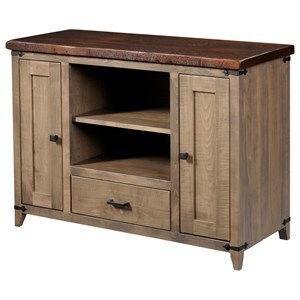 Available in a variety of finish options. 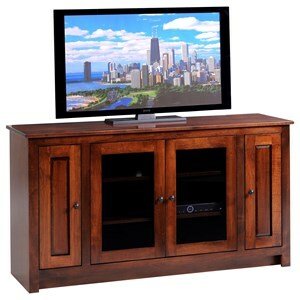 The Express 52" TV Stand with Open Shelving by Y & T Woodcraft at Saugerties Furniture Mart in the Poughkeepsie, Kingston, and Albany, New York area. Product availability may vary. Contact us for the most current availability on this product.